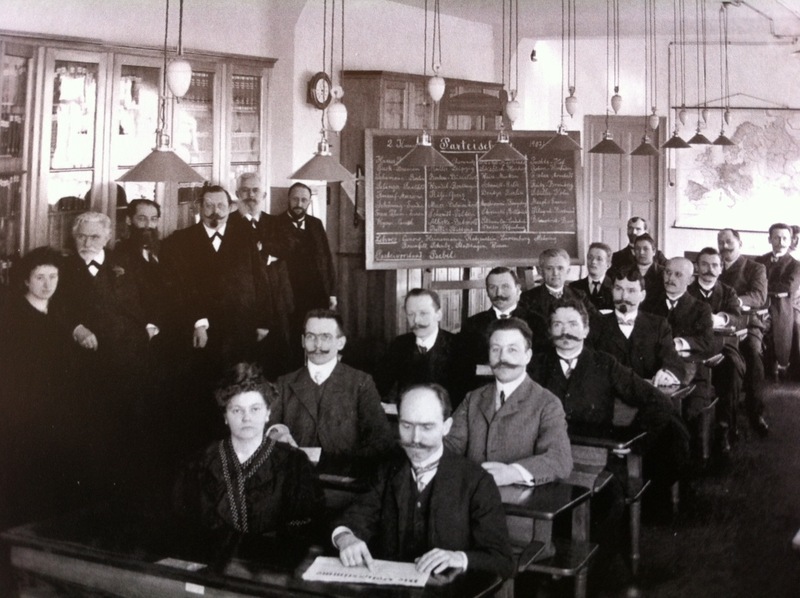 Friedrich Ebert became leader of the SPD following the death of August Bebel (standing to the left of Luxemburg) in 1913. Ebert supported the German war effort and the imprisonment of anti-war socialists including his former teacher, Luxemburg. Ebert became German Chancellor on 9 November 1918 during the German Revolution and was voted first President of the German Republic by the National Assembly at Weimar on 11 February 1919, a post which he held until his death on 28 February 1925. As Chancellor, Ebert was responsible for the crushing of the ‘Spartacist Rising’ in January 1919, which culminated in the murders of Rosa Luxemburg and Karl Liebknecht. Although he did not publicly endorse the murders, Ebert was considered responsible by the Communists and other left-wingers. This entry was posted in Uncategorized and tagged Bebel, Germany, luxemburg, SPD on 26/05/2013 by Anton. Food containing horsemeat but labelled as something else are being taken off the shelves in numerous European countries, including the UK. The latest find saw six tonnes of minced beef and 2,400 packs of lasagne Bolognese containing horsemeat in Italy. And that’s exactly what it is, good food, there are no health issues over the food just that it has been mislabelled. He went on to say that there are 800 million people in the world who were hungry. Will capitalism continue mass wastage while people go hungry? 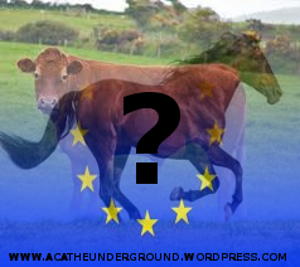 This entry was posted in Daily headlines, European Union, Germany and tagged bolognese, Capitalism, CDU, Europe, food, food labelling, german minister, Germany, Horsemeat scandal, Italy, mass wastage, tainted food, UK on 24/02/2013 by Leon J Williams. Online retailer Amazon has come under fire again, recently the company has been under the spotlight for its tax evasion and now for its working conditions. One of Amazon’s German warehouses has been the subject of a documentary in which seasonal workers were body searched, constantly watched and subject to room searches by the firms security guards. Amazon is following up on the allegations after the German employment minister said that their contractors license could be revoked. 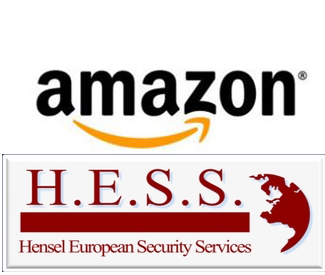 In another tangled web Amazon has contracted an agency to carry out the warehouse work and that agency has contracted Hensel European Security Services (HESS) to carry out the security work at the warehouses. HESS has also been accused of having connections with the far-right which would account for their hard-line approach to workers and working conditions. This entry was posted in Daily headlines, Workers and tagged Amazon, business, documentary, economy, Germany, Hensel European Security Services, HESS, news, politics, retailer amazon, tax evasion, working conditions on 17/02/2013 by Leon J Williams. 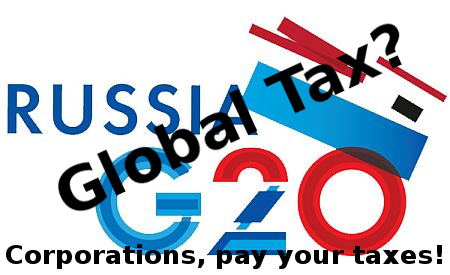 Multinational companies buy, sell and ship money all round the world to either avoid paying tax altogether or to pay the very least they can. The problem is, this is not illegal, loop holes exist and some countries deliberately keep corporate tax as low as possible to attract businesses and jobs. If a global, unified tax system was in place it could (if done properly) eliminate the constant ‘threat’ of businesses and jobs packing up and moving to another country. The money raised would be a much needed boost to help combat unemployment and improve heath and education. The G20 Finance Ministers and Central Bank Governors’ Meeting will take place in Moscow, Russia from 15th – 16th February 2013. Amongst other things the ‘global economy outlook’ will be discussed with the UK, France and Germany expected to push for global tax rules to help clampdown on corporate tax avoidance. A full list of the G20 Finance Ministers and Central Bank Governors’ Meeting program can be found here. Starbucks has paid £8.6m in corporation tax in its 14 years of trading in the UK, and nothing in the last three years. Facebook paid no corporate income tax in the US last year, and instead reclaimed $451m in taxes from the Internal Revenue Service (IRS), despite recording profits of over $1bn. Amazon generated £7.5bn from sales in the UK in the last three years, did so without attracting any corporation tax on the profits from those sales. This entry was posted in Daily headlines and tagged Amazon, business, corporate tax, economy, Facebook, Finance Ministers and Central Bank Governors, France, G20, g20 finance ministers, G20 Moscow, Germany, global economy outlook, global tax, government, Multinational companies, news, politics, Russia, Starbucks, tax avoidance, UK on 16/02/2013 by Leon J Williams. Events rely upon each other. Two ideas that oppose each other, sometimes so much as to be the complete enemy of the other. Throughout history, events of this nature reoccur, so much as to have integrated themselves into our daily life. Take our two leading parties in the UK: Conservatives and Labour. Conservatives and Labour, are widely thought to be the only two parties worth voting for. What if the labour party dissolved? People decide to vote for the party they think represents their views, not wanting another 5 years of cuts and MP pay rises. So we get, say the Green Party in power, they do a good job, get voted in again, and nobody wants the conservatives back in, because they realise they need no longer vote for the Tories as an alternative party, they vote for who they think is best, not for the lesser evil. Now the conservatives, previously having labour as their rivals and opposition, wanting no more than their capitulation, are feeling nostalgic. They knew before that if they were voted out, it would be 10 years maximum before the British people got tired of labour, and turned to the only party worth voting for other than labour. Thus, the conservative party relies on labour, as much as it disagrees with it, it needs it to gain power, as seen in 2010, when the British public appeared to forget about thatcher and the 80s, due to their disdain of Brown. Now, Miliband, who would never see power in his lifetime has a 40% approval rate, compared to Cameron’s 28%, because who else would take over from Cameron, if not Labour’s Miliband? Same with Trotsky and Stalin. Each would have not got to their positions of power without each other. If Stalin had not got funds for the Bolshevik party, they would have collapsed because of the lack of funds. Also Stalin’s defence of Tsaritsyn, an important town, during the civil war, was a massive victory. But without Trotsky’s organisational skills, the red army would have not been created, or if it had been created, not organised as well. Thus, the whites win the civil war against the Bolsheviks, leading to the Bolshevik party members fleeing or being executed. Without Marxism-Leninism, what some call Stalinism, there would be no Trotskyism, no revolution betrayed, and some of Trotsky’s best books never wrote. Lenin entered Russia via the ‘sealed train’, provided by imperial Germany, who were massively opposed to socialism; Germany was a highly nationalistic and militaristic county. So without imperial Germany, there would be no soviet union, which Germany later despised, Hitler being a big fan of Bolshevism, considering most leading Marxists were Jewish. These were just a few examples, if you have any more please post them in the comments section, I would appreciate it greatly. This entry was posted in Democracy, UK and tagged bolshevik party, Britain, Conservative Party, David Cameron, democracy, Dialectical Materialism, Dissent, Germany, Green Party, Labour Party, Miliband, politics, red army, UK on 19/01/2013 by Leon J Williams. 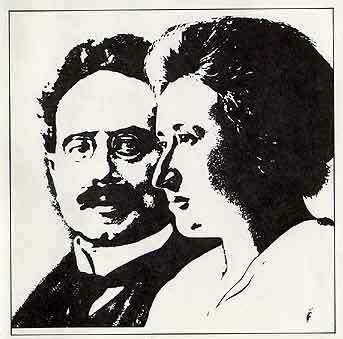 On the 15th January 1919, the freikorps, a right-wing, nationalist paramilitary group, made up of ex-great war soldiers, murdered Rosa Luxemburg and Karl Liebknecht, by beating them too the floor with rifle butts, shooting them in the head, and finally, throwing their bodies in the freezing landwehr canal. Post war Germany was disastrous: money had to be spent instantly as it was constantly loosing value, wheelbarrows of money were needed to buy bread, and the allies still demanded their £6,600,000,000 reparations. The government was weak, and the army was reduced to 100,000 men. The main industrial areas were given independence, which meant Germany’s economy couldn’t recover. It had lost vast amounts of it coal, and 15% of its arable land. It was no surprise that when Germany couldn’t pay it’s second reparation payment, and France invaded the Ruhr, that the workers went on strike, with signs of ‘no French or dogs’ on cafés. They were hailed as heroes, but by doing this, the German economy got much worse. I hope you enjoyed the background information. I also hope the verbosity of this article has not bored you. This is where we get to the main point of this article: the Sparticists. The Spartacists were actually founded in the summer of 1915 when both Luxemburg and Liebknecht left the SDP because of the party’s support for Germany’s participation in the First World War. The SDP were the social democracy party, the name for socialists around the globe. The social-democrats abandoned revolution, in favour of reforms, abandoning Marxism, and in a sense, socialism, becoming tools of the bourgeoisie, no longer friends of the proletariat. In December 1918, some of the Spartacists – including Luxemburg and Liebknecht – founded the German Communist Party. Luxemburg had written numerous pamphlets about Lenin and how his leadership of the Russian Revolution would be of such great value to Russia. While her political philosophy may well have merited such pamphlets, many Germans (and Europeans in general) were terrified of the ‘Red Plague’ in Russia and the adoption of the name ‘communist’ was looked upon with distrust. Many soldiers had returned from the war fronts massively disillusioned with the German government and hugely suspicious of anything or anyone that had left-wing political beliefs, ven the SDP, which can be compared to labour in the UK, or the democrats in the US. Many who had quit the German Army joined the right wing Freikorps. These would have been battle-hardened men who had been subjected to military discipline. 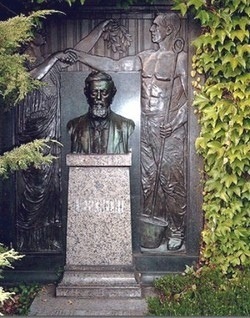 The leaders of the Spartacus League, Luxemburg and Liebknecht (I hope I have not repeated myself too much), were dissatisfied with the actions of the post-war SPD government. The SPD government had compromised with the conservative military and right-wing militias, promising reform rather than revolution in return for their support and aid in returning the country to the semblance of order. Alongside protesting workers, Liebknecht and Luxemburg led the Spartacist Uprising in an attempt to overthrow the government on the 1st of January, 1919. Barricades were erected, newspaper offices were seized, printing revolutionary paper, such as ‘red flag’, workers armed themselves, hoping to save Germany through socialism! Unfortunately, the SDP enlisted the help of the Freikorps, who brutally put down the revolution, arresting Karl Liebknecht and Rosa Luxemburg on the 15th of January, beating them with rifle butts, shooting them in the heads, and throwing Rosa Luxemburg in the Landwehr canal. Every year, German socialists and communists still go to Luxemburg’s and Liebknecht’s grave, on the 15th of January, which shows that they are still important in politics today, and soon, they may be as important as they were in wartime, and post-war Germany. They died, as all Marxists should, after attempting to make the world a better, fairer, more equal place. This entry was posted in Germany, History and tagged 1915, 1919, economy, german communist party, Germany, Karl Liebknecht, Marxist, politics, Red Plague, Rosa Luxemburg, SDP, social democracy, socialist, Sparticist on 18/01/2013 by Leon J Williams.